collaboratio helvetica collaborates with the the Sustainable Living Lab of Impact Hub Lausanne & Genèva and the Living Lab Lausanne of the EPFL in a new social lab "Beyond Waste: A Circular Resources Lab". Preparation work has started in 2017 already, with for example Food Hacks and Stakeholder Round Tables on the topic, hosted by the Hubs. The depletion of natural capital is one of the most urgent issues facing Switzerland, and the world. Consumption patterns are a big pain point for Switzerland; it ranks second highest in Europe in per capita waste production. Moreover, most of the impact of Swiss consumption is felt abroad, which has been problematized over 20 years ago. Global natural resource depletion and climate disruption point to the increasing obsolescence of extractive, linear economic models. At the leading edge of innovation are business models that are environmentally regenerative and socially responsive. Decoupling economic activity from the consumption of finite resources, transitioning to renewable energy and designing waste out of the system are essential orientations on the roadmap to a sustainable future. The economy of tomorrow will create economic capital while regenerating human and natural capital. Beyond Waste Lab is in service of such innovations. Beyond Waste Lab allows the participants to explore all aspects of circular resources on a personal, cultural, societal and organisational level - from the most innovative approaches to the established best practices. On this theoretical and experiential basis, we develop structural solutions specific to our participant's sphere of influence, which are then tested and further developed. On the way to the prototyped solutions we hence generate learning and new insights, develop our understanding of the topic as well as our skills, and practice collaborating, fostering trust within our larger ecosystem. The direct beneficiaries are the participants as participating explorers and the organisation(s) they work in, and indirectly many more will benefit from the solutions and the changes that will occur. Our Beyond Waste Lab is a 3-months long transformation journey to explore and prototype solutions to this complex challenge. It’s an agile, deep, messy and highly effective process, similar to what is described and illustrated here. 20 explorers will commit to attend several workshops and a two day retreat and engage in activities in-between. There are both temporary and permanent elements: As a Lab it is always set up temporarily for a cycle. However, as circular resources will not be achieved by one Lab within one cycle, we designed for a more permanent structure of repeating cycles. With this first cycle of the Beyond Waste Lab, we want to lay the foundation to integrate further decision makers into the process in the next few years, thus constantly developing the sphere of influence and process quality. The applications open on May 22 and close on July 1. In the evening of June 14th there will be an information session where questions will be clarified. Nominate yourself or someone until July 12th! Beyond the Beyond Waste Lab 2018, the harvested learnings that are open source will persist. All in all, the Beyond Waste Lab makes a meaningful contribution to SDG 12 and to the sustainable change in our individual and collective thinking and being patterns, thereby supporting the transformation of the Swiss culture in this topic. Erica Mazerolle is the lead & catalyst of Sustainable Living Lab, an initiative of Impact Hub Lausanne & Geneva to foster cross-sector collaboration for sustainable innovation. Drawing on transformative learning methods, she designs & delivers multi-stakeholder workshops to facilitate a shift from ego-system to ecosystem awareness amongst participants. She holds a M.A. in Development & Sustainability from the Graduate Institute of International & Development Studies and a B.A. double major in Community, Public Affairs & Policy Studies and in Human Environment (Geography) from Concordia University, Montreal. She is a trained facilitator in Art of Participatory Leadership and holds a certificate from MIT’s U.Lab: Leading from the Emerging Future. A former resident of the ecovillage Sadhana Forest, she is passionate about bridging ecological necessity to the collective wellbeing. Cynthia Kracmer is the lead facilitator at Impact Hub Geneva & Lausanne. She strengthens collaboration between international organisations and social entrepreneurs to design and prototype solutions together. She coordinated and facilitated for the SDG Lab, the Gender Equality Hack, Hack4Hunger and various other innovation formats. Darya Gerasimenko is a Professor for Sustainability Science at Samara (State Aerospace) University (SSAU); a Research Scientist in Circular Economy at the Institute of Technology and Public Policy (ITPP) with Prof. Bruno Oberle (Chair for Green Economy and Resource Governance (GERG)) at École polytechnique fédérale de Lausanne (EPFL), and a Lecturer at the University of St. Gallen (HSG). She is currently leading work on creation of Living Lab Lausanne (3L) at GERG/EPFL for Circular Economy development in Switzerland. She holds a PhD in Political Economy (of Industrial Policies and International Trade) from the University of St. Gallen (2015) and is an elected Council Member of the International Forum on Sustainable Value Chains (ISVC). Darya is also a certified Qigong/meditation trainer from Huang Ting TCM (Beijing, China; E-Mei School) and was teaching it at UniSport of St. Gallen University in 2015-2016. Her research interests are governance of Circular Economy (CE) transformation in various institutional settings, societal innovation for Circular Economy, living labs, partnerships and ecosystem awareness for CE, inner resilience dimension for enhanced co-creation ability in living (social) labs. She is also passionate about exploring/applying innovative teaching approaches. For example in her Masters Course “Circular economy transformation”, Darya focuses on eco-system awareness facilitation for CE transformation. Isabelle Ruckli is communication manager at collaboratio helvetica and project manager at step into action global. She holds a B.A. in Political Science and Social Anthropology from the University of Lucerne and an interdisciplinary M.A. in European Global Studies from the Europa Institute of the University of Basel. Throughout her studies and her many experiences as a volunteer (foraus, step into action, viva con agua and others) she was guided by questions around the nexus of human behaviour, sustainable development, democracy and governance. She is a hungry learner who is always eager to understand different approaches and inquire into many different fields of knowledge. Today she finds herself working in two projects which address social innovation, societal development and human empowerment, which enable her to feel aligned with her values and passions through her work. Nora Wilhelm is Catalyst at collaboratio helvetica, a platform dedicated to opening spaces for dialogue, experimentation and collaboration to co-create the Switzerland we want to live in. Nora is passionate about activating the full potential of people and organisations, and was recognised by UNESCO for her work as young leader. During her studies in International Affairs at the University of St. Gallen, Nora took on multiple roles in the European Youth Parliament and presided its Swiss node for two years. Oswald gained experience with different companies, inter alia supporting the creation of innovative and collaborative work methods, structures and spaces. 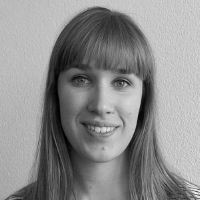 Laura Ebneter is a research associate at the SDSN Switzerland.